My family has a boathouse on a lake nearby that we have been visiting at least few times a week this summer. We love going there to water ski, wake board, tube, swim, and play in the sand. With the summer heat being so strong, we are always trying to keep the kids hydrated and shaded. 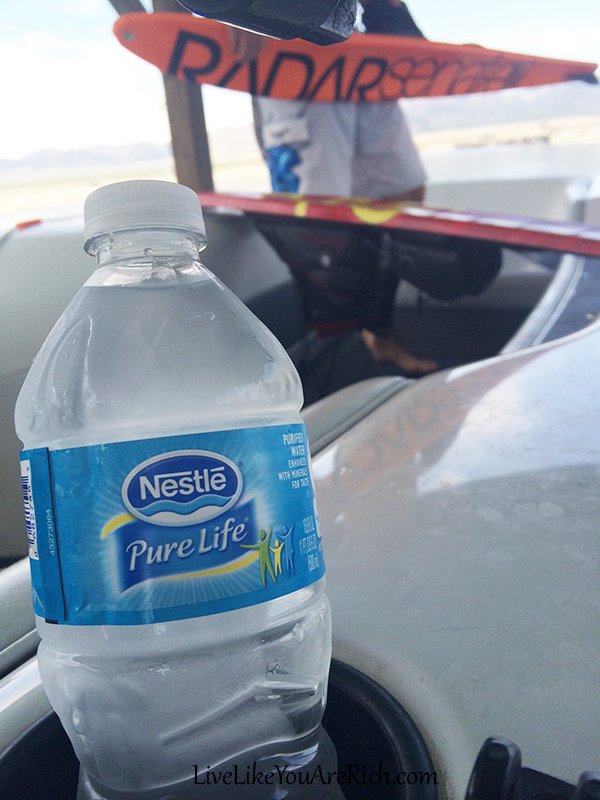 And since we have been going out there at least a few times a week we have been purchasing a LOT of water bottles! We’ve found that the older kids love to drink the water bottles if we freeze them softly and put them in a cooler with ice before going out there. The water is like a ‘slushie’ to them and they guzzle it down. We also give incentives and rewards to all of the children for drinking water. They can go on the boat ride, or go swim, or ride in the tube only after they have had some water. If a child really wont drink as much water as we want them to, despite our rewards, we add 1/4 100% fruit juice to it or cut up fruit that infuses it with flavor. This helps them feel like its a treat. As a result, the children feel like they are rewarded for drinking lots of water and staying hydrated in the summer sun. It’s important to keep kids hydrated. 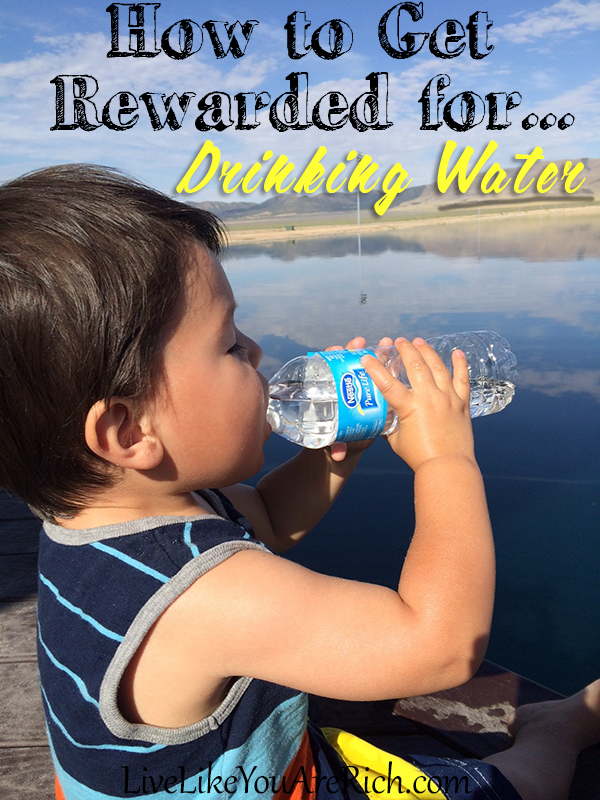 Hopefully some of these tips help you keep your little ones drinking water this summer! For other ‘rich living’ and money saving tips, please subscribe, like me on Facebook and Follow me on Pinterest. 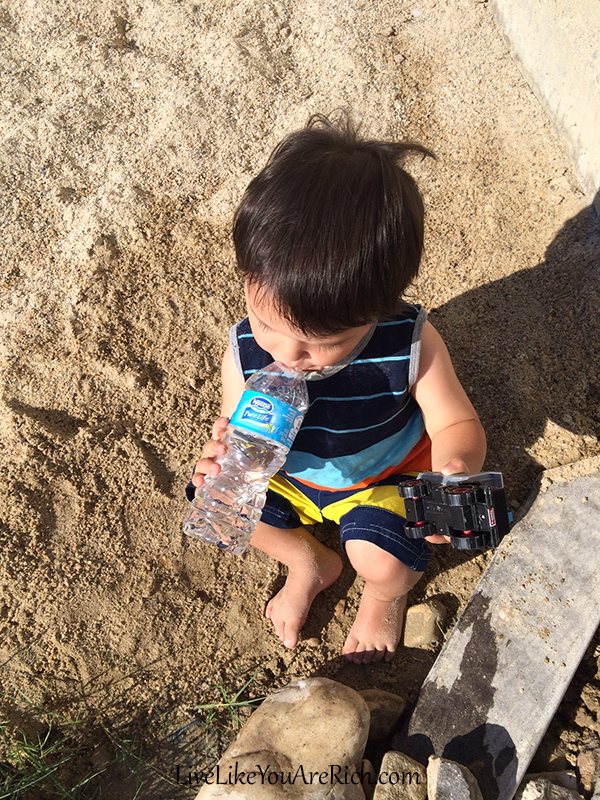 How to Protect Your Kids from the Sun While Enjoying the Great Outdoors How To Store Water in Case of Disaster or Need How to Clean Your Bathroom in 7 Minutes or Less (Using Baking Soda, Water, & Vinegar).